Water spot marks can ruin the appearance of your vehicle. Furthermore, the chemical compounds that cause the marks can etch into the surface of paintwork, requiring machine polishing to remove. 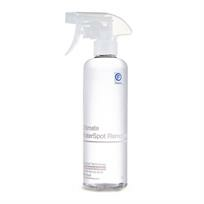 Fireball Ultimate WaterSpot Remover dissolves the compounds which cause the white spot deposits, leaving the surface smooth and clean.